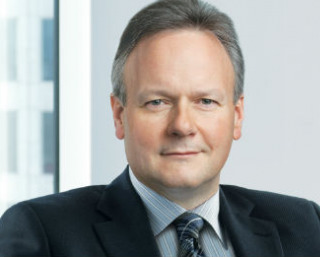 Governor of the Bank of Canada Stephen Poloz has provided concrete numbers on how much Canadians have saved by renewing mortgages in the wake of January’s rate cut. It’s useful information for brokers who will likely count on renewal business for the remainder of the year, with rates expected to remain low. In a speech, titled “The Way Home: Reading the Economic Signs,” Poloz addressed the state of the economy and how the Bank of Canada plans to rebuild it. Currently, the forecast is that the first quarter of the year will experience no growth. However, a rebound is expected next year. However, he did note how uncertain the outlook is. What a spin! What Poloz is not telling you is that a .25% cut in cap rates on a $700,000 property increased its price by more than $46,000. Central bankers will always tell you that things will improve in the second half. I'm not suggesting that they become alarmist but simply to provide a balanced view between the upsides and the caveats. The greatest risk for Poloz's plan is a deflating US economy which no mainstream media or central banker discusses. This will strengthen the Canadian dollar as foreign investors pull-back from their USD denominated investments. Poloz will have no choice but to cut rates further to prevent the Cando from appreciating if he wants to support non-energy exports. Consequently and notwithstanding a change in domestic supply & demand factors, Canadian real estate prices will rise as interest rates fall.